The 10th ASEAN+3 Leadership Programme, organized in Yogyakarta, Indonesia, on 10-13 October 2017, was hosted by the Ministry of Environment and Forestry of Indonesia. The impact of this programme is highly significant, as it enhanced the knowledge and skills of policymakers, focusing on policy development and implementation, to achieve those key goals and targets related to Sustainable Consumption and Production (SCP) across the Sustainable Developing Goals (SDGs). It exposed policymakers to practical learning cases. The priority of the 10th ASEAN+3 LP was enabling policy measures, strategies and actions for SCP in the ASEAN+3 region’s value chains in food security, sustainable food systems and livelihood. (3) Critically examine what policies, at the national and regional levels, facilitate sustainable value chains in key ASEAN food and related sectors, while contributing to SCP and ASEAN’s achievement of the SDGs. 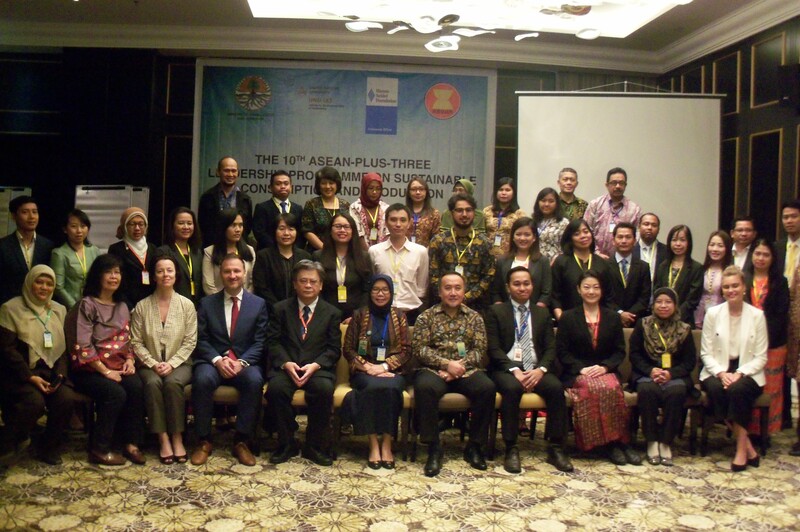 The 34 participants were mainly government officials from most of the ASEAN Member States – Cambodia, Indonesia, Lao PDR, Malaysia, Myanmar, Philippines, Thailand and Vietnam. There were 16 resource persons from UNU-IAS, United Nations Industrial Development Organisation (UNIDO), Universitas Gadjah Mada, the Ministry of Environment and Forestry of Indonesia, the ASEAN Secretariat, the Hanns Seidel Foundation, the Ministry of the Environment of Japan, and the European Union Delegation to Indonesia and Brunei Darussalam (EU Jakarta Office). UNU-IAS conducted the programme with support from partners including RCE Yogyakarta and ProSPER.Net member Universitas Gadjah Mada (link is external). The ASEAN Secretariat and the ASEAN Member States, through the ASEAN Working Group on Environmental Education, plan to expand future offerings of the ASEAN+3 LP to cater to multiple sectors and diverse target groups, with a more strengthened methodology and focused content. 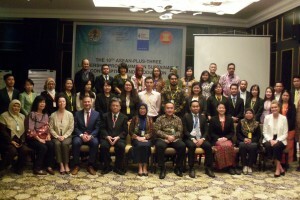 The ASEAN Secretariat will organize two workshops next year to plan for strengthening the programme in the future. A full report of the programme is available here.